Are the RBI’s financial inclusion policies too conservative? A recent article in The Economist discusses the Reserve Bank of India (RBI)’s record over the last ten to fifteen years. In general, the magazine takes a favourable view of the central bank’s performance, citing its success in maintaining macroeconomic stability and controlling inflation. The article mentions that some critics have lambasted the RBI for its conservative approach to regulation, which they claim, has negatively impacted growth. Having worked in the financial inclusion space for the past couple of years, I have witnessed how RBI’s policies can limit the outreach and effectiveness of financial institutions serving low-income households. In general, the bank has failed to create a regulatory framework that will catalyze financial innovation and rapidly bring quality financial services to India’s unbanked citizens. Over the past ten years, the RBI has promoted financial inclusion by compelling banks to enact pro- inclusion policies (ex. open zero-balance no frills accounts for the poor), relaxing Know Your Customer norms, granting priority sector lending status, and by regulating financial services institutions that serve the poor. While the bank’s latest regulations serve as useful corrective to a microfinance industry that was expanding too aggressively, its reluctance to allow NBFC-MFIs to take savings or to serve as Business Correspondents slows financial inclusion efforts. 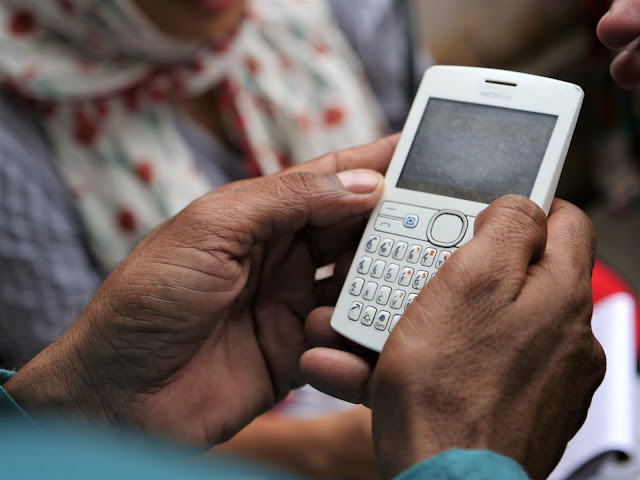 Further, the bank’s restrictions on mobile transactions have prevented the expansion of mobile banking technologies that could help extend financial services to hard-to-reach, rural populations. Many in the microfinance industry have publicly lauded the bank’s recommendations because these rules decrease the political and financial risks that MFIs are subject to but secretly, some of the same industry experts disparage the bank’s reactive approach to regulation. The bank’s supporters would claim that the RBI is acting cautiously, and rightly so, for several reasons: a) to protect poor individuals against theft/fraud b) for national security reasons (decrease possibilities for terrorism financing) and c) ensuring macroeconomic stability. However, all of these concerns could be partially addressed by closely monitoring financial services institutions and enacting rigorous reporting standards and safeguards that prevent abuse. After reading The Economist, I have a new appreciation for the RBI, which has performed splendidly with respect to its major responsibilities. However, in the area of financial inclusion, I believe that the bank could adopt policies that would allow financial services institutions to reach the poor more effectively. This was wonderful to read this blog which is a great knowledge resource like your all other posts. Further, i think that not only RBI but many other financial institutions must also be concerned about remodelling financial inclusion policies for fruitful financial results and economic growth of country as well as individual.